With Easter fast approaching, as a mum of three I have started to think about the big day. I am trying to occupy the children during the Easter holidays, getting the right balance of lazy days without them getting bored, I can never get the balance right!. Although Easter seemed like a far day in the future, it is now coming round rather quickly and I am suddenly thinking about the big day, what plans to make, eggs to buy, what to cook & my favourite bit what will my table look like! I love Easter, probably because I love spring flowers. I adore all the seasons, but when you see pockets of colour appearing after a cold, dark winter, I can’t help but feel excited. For most people I do appreciate with juggling everything, how your table looks might be the last thing on your to do list. But if you have a little time to spare what a treat for your family and friends to sit at a ever so pretty table full of spring flowers and Easter crafts. I decided I wanted to create a series of tutorials showing people how they could create an Easter table with ease. 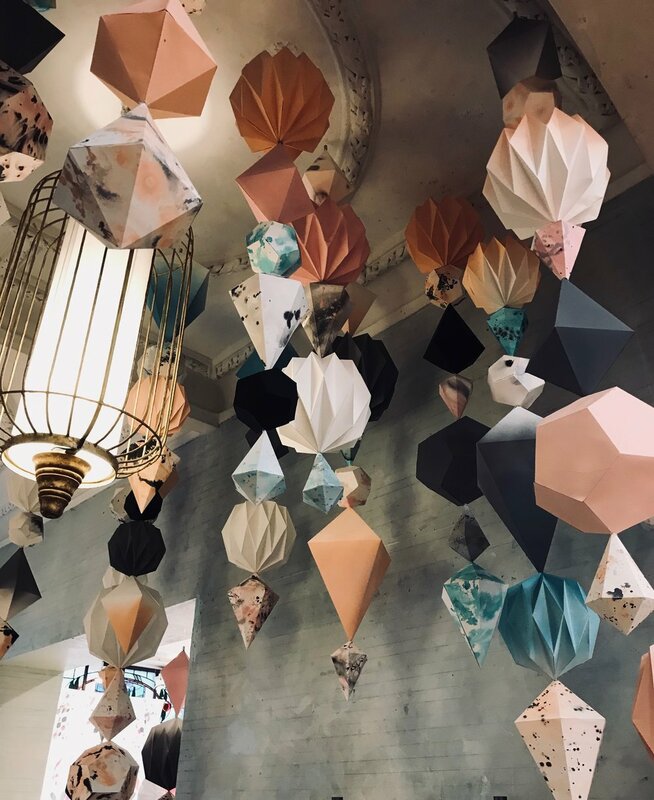 My good friend Hayley who is behind the Instagram account Nido Uk has a great eye for interiors and all things crafty. I have wanted to collaborate with her for some time and her house was the perfect backdrop to create three different looks for Easter. We chose to create three unique table displays. Brights-a simple, child friendly design. Pastels-a feminine display which could be easily adapted to Mothers Day, baby shower, hen do, wedding, any special event. Lastly monochrome-industrial, chic and all about grey, black and a white palate. For the florals with the brights table centre, I used botanical wrapping paper from Rifle as my inspiration board. Although this table was meant to appeal to a child’s eye, if you are anything like me you still want your table to look ever so pretty, even if it is aimed for the kids. I pulled out some of the colours of the print and used poppies and ranunculus in glass bottles to create a simple, bright and cheerful design. Accessorising it with a collection of colourful candles and some easter chicks, it had to be done, we created a fun, pretty and ever so easy table centre for Easter breakfast. I love using colour in my work, but sometimes simplicity is called for. Hayley loves monochrome tones and her house is a lovely example of how to bring this colour scheme into your home. For the flowers Hayley had a lovely zinc planter and in there I recreated plants, using cut flowers in terracotta distressed pots and covered the mechanics with moss. On the table, Hayley added her fabulous concrete eggs and monochrome bunnies, to give a beautiful and industrial look to the display..
For our pastel table centre I used a mixture of pink flowers with some whites and a touch of blue. I created small t-light holders full or flower clusters and small urns to surround the large urn display for the centre of the table. If you are interested in learning how to create a display such as this why not come along to our Summer Wedding Floral workshop in June. Learn to create a bridal bouquet, buttonholes and a small urn display. For more details click here. All of looks can be seen on either Flourish Sussex Flower School or Nido Uk’s Insta TV channels. We hope you enjoy them. Hayley and I love all things pretty and we would love to inspire some of you to get creative this Easter time. From all of us here at Flourish Sussex Flower School we would like to wish you a very Happy Easter! To celebrate spring, get 15% off our One Day Masterclass’s! I love spring time, don’t get be wrong I love winter too., but as soon as you can hear the birds, you start to see pockets of yellow, blue and white popping up everywhere, I can’t help but feel excited. What better way to celebrate this glorious season than to spend a day creating with nature. Book one of our one day masterclass’s and use the code SPRING19 on checkout to get 15% off. This spring we have lots of floristry courses taking place at the flower school. Our floristry courses include: Hand Tied Bouquet Masterclass and our Celebration of Spring one day workshop. We are also looking forward to welcoming potential students to our career open evening. The open evening is designed to give information about the floristry courses and career courses that we run here at the Sussex Flower School. Instead of focusing on more traditional methods of floristry we prefer to teach more artistic inspired floristry. Letting students develop their own style and be as creative as they wish to be. Our step by step tutorial on how to create a spring door wreath is now up on our facebook and instagram page. 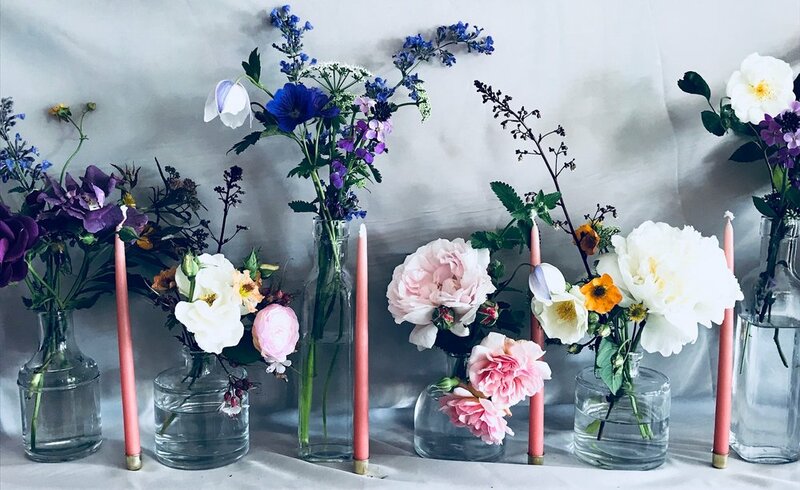 In other news Flourish Sussex Flower School will be collaborating with Nido UK to create some online tutorials on how to create three different looks for your Easter table. Lastly look out for our giveaway which we will be running on our Facebook page, for your chance to win this beautiful cut flower guide book by he amazing floral designers Darroch and Michael Putnam. All you need to do is make sure you have signed up to our newsletter and introduce as many friends as you like to our Facebook page. So I will leave you with this image, combining two of my loves; flowers and ballet. I wish you a wonderful spring. 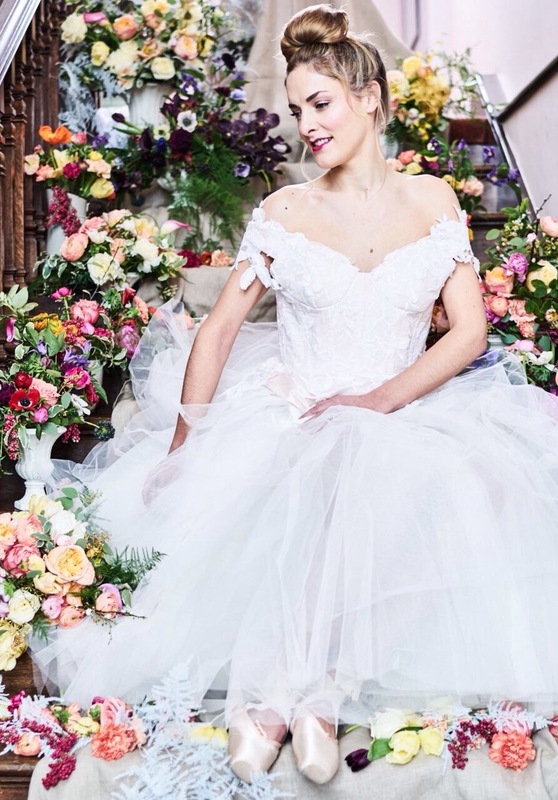 Have you ever dreamed of working with flowers? Do you long to be creative and know more about how to arrange flowers in the home? I remember asking myself all of these questions, nearly sixteen years ago. My journey into floristry wasn’t an obvious one. I was working in a PR company, a little frustrated of being at a desk. I had a creative background and sitting at a computer from nine to five didn’t suit me. 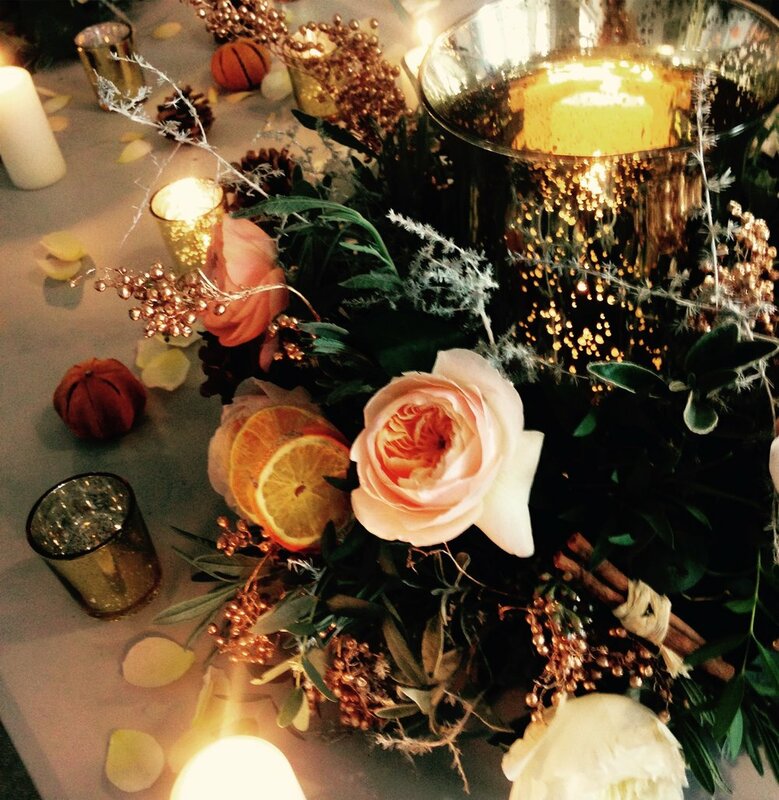 I remember helping set up the PR events and there I had to speak to some of Londons top florists and they turned our clients wishes into a beautiful reality. I was in love with floristry from that moment. My mum bought me a book by Paula Pryke and Jane Packer and I decided to quit my job and start on my floristry journey. My training began at a local college, where I did a two year diploma, but it wasn’t until I headed to London and enrolled in a career courses at Jane Packer School of Flowers and later at McQueens, that my eyes were truly opened to the type of floristry I wanted to do and eventually teach others. I ran a wedding and events business for eight years before taking a break to have my second son and then my daughter. I wanted to open a floristry school in Sussex that offered career courses, bespoke workshops, ongoing training to professional florists and fun, informal classes for flower enthusiasts. A Sussex flower school that wasn’t just about traditional methods, but encouraged students to break the rules and push themselves artistically. I had a desire to create a flower school that taught students to look at flowers and foliage and create natural inspired designs. From here Flourish Sussex Flower School was created. When I was creating The Foundation for Beginners I wanted to create a bespoke course that covers everything I would have wanted to know when I was training at my local college. The course is very practical. With students being shown how to create some of the most popular designs in floristry. 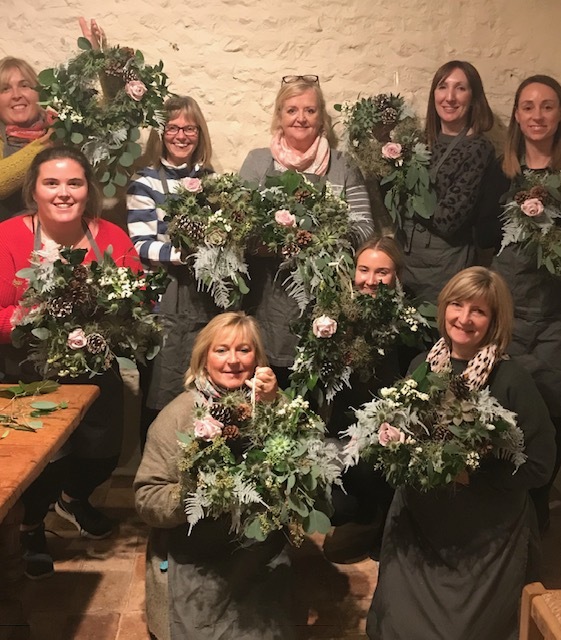 After these step by step demonstrations, students then get to to create: hand tied bouquet, bridal posy, free flowing bouquet, buttonholes, corsages, group table display, meadow arrangement, urn display, sympathy wreath and seasonal display. We also cover the theory too. Looking at ordering, buying from a wholesaler, buying sundries, how to plan and run a wedding. This course is all about giving students the foundation in floristry before going onto more specialist courses later on. It is so important that students master the basics and The Foundation course for beginners at Flourish Sussex Flower Course offers this in a fun, informative and relaxed environment. With The Foundation course we also include payment plans, which previous students have found very useful. Payments can be made monthly, or a bespoke package can be created for you. There is a choice of attending the course in either the evening or the day, so you can choose which training course suits your lifestyle. Want to find out more? Why not come to our free open evening in March, where I give a talk about the course in further depth, give a demonstration and you get to have a play with a few flowers, oh and have a glass of prosecco of course! ‘I recently finished a 10 week beginners course at Flourish Sussex Flower School and I would thoroughly recommend it to any one. It was extremely enjoyable week after week and learnt something new every week. Alicia is extremely talented, knowledgeable and very approachable. It was great to meet a bunch of liked minded students. The flowers, foliage and techniques used were all amazing. I truly feel I have learned a lot and the course inspired me to start my own business.